Building a dog park in your local area can boost community as it is sure to bring people together. Everyone loves to spend time with their dog and what better way to do so than at a park that was created with their desires in mind. Over the past decade, the growth of dog parks has increased a great deal. More so than ever, people are frequenting dog parks with their pets as a way to encourage their animal to socialize with others and burn off excess energy. Pet lovers enjoy going to the park just as much as it is an opportunity for them to converse with other owners and watch their pup play with others. Dog parks can be a wonderful addition to any neighborhood. This article will highlight some ways in which a park can build community in your town. A space to gather. A dog park is a great place to go to allow your dog some exercise and to get some fresh air. Accompanying your dog to the park can also benefit you with fresh air and a nice walk outside. Not to mention, a park such as this is a great place to gather and meet others who are also interested in animals. The more that you frequent the park, the more likely you are to make friends with fellow dog owners and get to know people you may not have met otherwise. Socialize with others. Parks can be expensive and more effort goes into creating a great space other than sticking a sign in the ground and putting up a fence. You may need to partner with community members to fundraise for the park. Fundraising is a great way to generate additional buy-in and raise funds for a good cause. Not to mention that while discussing fundraising efforts for new park equipment or for the installation of free dog bags, there is an opportunity to strike up a conversation with others and get to know one another. Host community fairs. A great way to bring the community together at the dog park is to host a community fair. Plan to stick with a theme. If you are fundraising to add additional playground equipment to the space, partner with local humane societies and pet shops to host the fair together. The more people you have involved in your fair, the larger the turnout as the word is sure to spread far and wide. Hire a company and purchase necessary equipment. Once you have received approval and you are in a good financial state from community fundraising, it is time to hire a company to assist with the build. 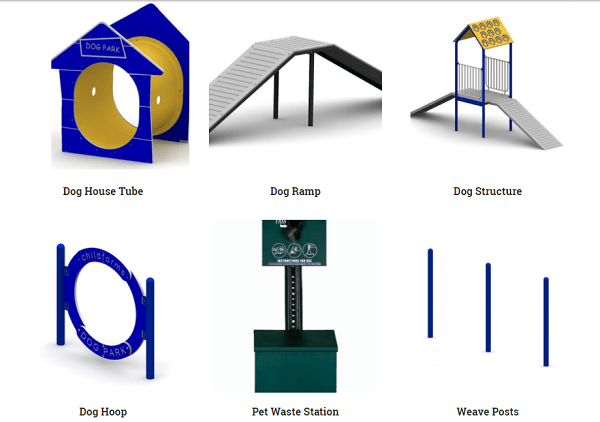 If you are interested in making the park unique, you could add some structures such as those found on https://pdplay.com/dog-park/. Structures provide an opportunity for your dog to have fun more so than just running around. In addition, the structures make the space aesthetically pleasing to the eye. More activities at the park means that you get extra time to chat and talk with others while your beloved pup plays.